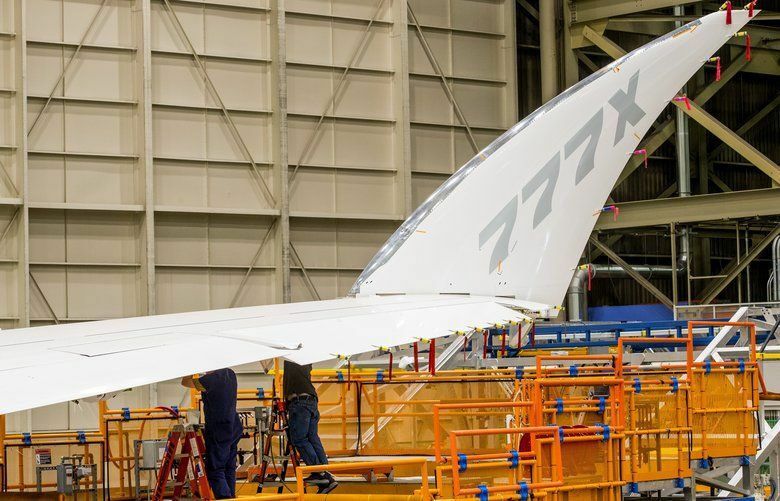 Boeing won its first new order since mid-2017 for the forthcoming 777X on Thursday as it gears up for the giant plane’s debut. The aerospace company is also looking ahead on a smaller twin-aisle plane. The next few weeks will see the public debut of a giant new Boeing airplane and should also bring a likely green light for development of a smaller, all-new jet. The same day, an announcement by British engine maker Rolls-Royce that it has pulled out of the engine-selection competition for Boeing’s next all-new jet — leaving only two contenders to power the 797 — suggests that Boeing is close to giving that airplane the go-ahead. The firm order for 18 of the new 777-9Xs came from International Airlines Group (IAG), the parent company of British Airways. IAG Chief Executive Willie Walsh called the 777-9X, seating 400 t0 425 passengers in two classes, “the ideal replacement” for the aging 747 jumbo jets in the British Airways fleet. Boeing said the new order brings the 777X to 358 orders and commitments from eight customers. That total seems also to include an extra 14 for Germany’s Lufthansa beyond its original firm order for 20 of the jets. The only cloud on the 777X horizon is that troubled Gulf carrier Etihad at some point is expected to defer or cut its order for 25 of the jets. The first 777-9X flight-test plane this week was quietly rolled out of the factory and into the paint hangar in Everett. 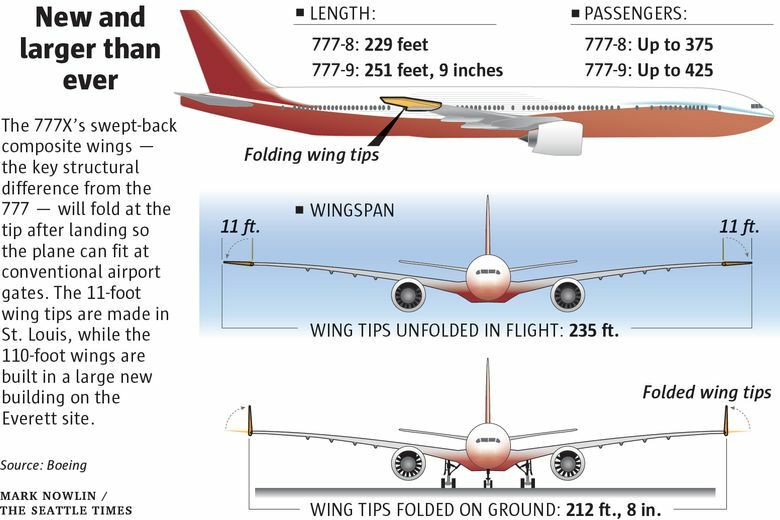 Featuring the largest wingspan of any Boeing jet, it will be unveiled to the public with some fanfare in mid-March. Meanwhile, the news from Rolls-Royce that it’s no longer pursuing a place on Boeing’s proposed all-new airplane program came as a surprise. Rolls had been pitching an all-new engine, the UltraFan, for the Boeing New Midmarket Airplane (NMA), unofficially dubbed the 797, against stiff competition from CFM International and Pratt & Whitney. On an earnings conference call Thursday, Rolls-Royce Chief Executive Warren East said the engine maker pulled out because Boeing’s NMA development timeline is too aggressive to have the UltraFan ready. “We could not achieve a sufficient level of (technology) maturity in the time available,” East said. Rolls has been struggling for more than two years now with fixing faults on its in-service engines, particularly the Trent 1000 that powers many 787 Dreamliners. The disruption and expense of that massive recovery effort, which has caused the grounding of multiple 787s, must have played a role in the decision not to move too fast on the UltraFan. East said Rolls informed Boeing of its withdrawal near the end of 2018. That’s when Boeing had demanded final proposals from all three engine makers. The Rolls pullout suggests it knew that it wouldn’t make the cut. That leaves two contenders: CFM, the joint venture between GE and Safran, which is offering an upgraded version of its LEAP engine with elements from its GEnx, and Pratt & Whitney, which is offering an upgrade of its geared turbofan. It’s unclear whether Boeing will go with one or two engine choices for the 797. But an engine selection is likely the last step before the imminent decision to pull the trigger on the program and offer the jet for sale. That’s widely expected as early as next month, with a formal launch next year after orders are secured. Adam Pilarski, senior vice president with aviation-consulting firm Avitas, said he believes Boeing will go ahead with that 797 schedule. He said Boeing thinks the 797 concept of a smaller twin-aisle plane that offers airlines the economics of a single-aisle jet will be a big winner and can be developed if suppliers are ready to come to the table with both upfront cash and low prices. Boeing remains tight-lipped on the 797. But a decision is coming. Once that’s made, the next nerve-wracking step will be to decide where it will be built.